- Powder coated steel body. - Actuator made of powder coated steel. - Working width – 2200 mm. 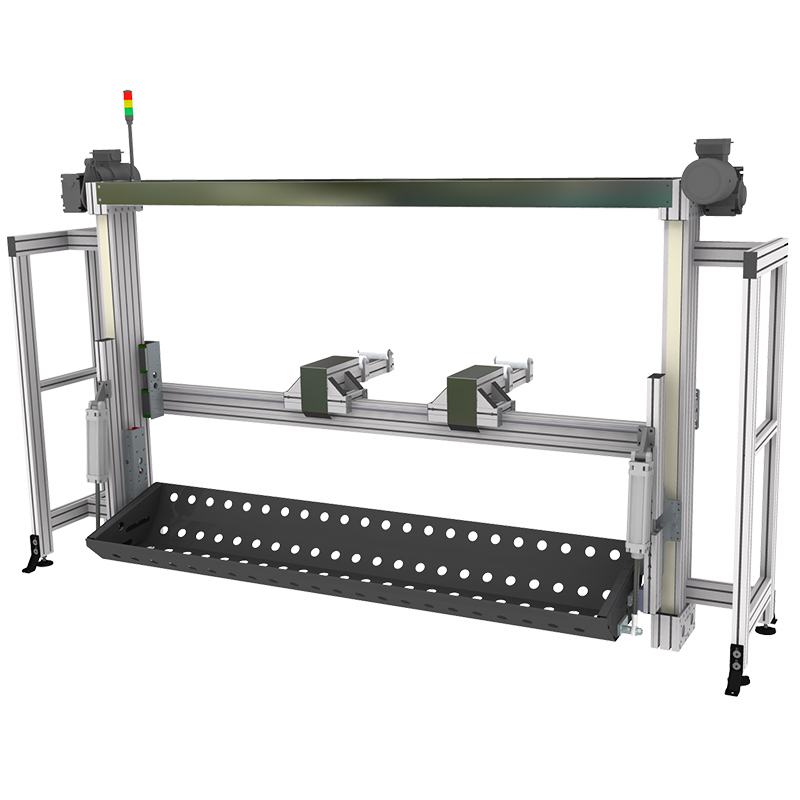 - Electrically adjustable working position for the operator. - Control cabinet + signal lamp. - Drive - geared motors with worm gear. - Transmission of the drive - toothed belt.